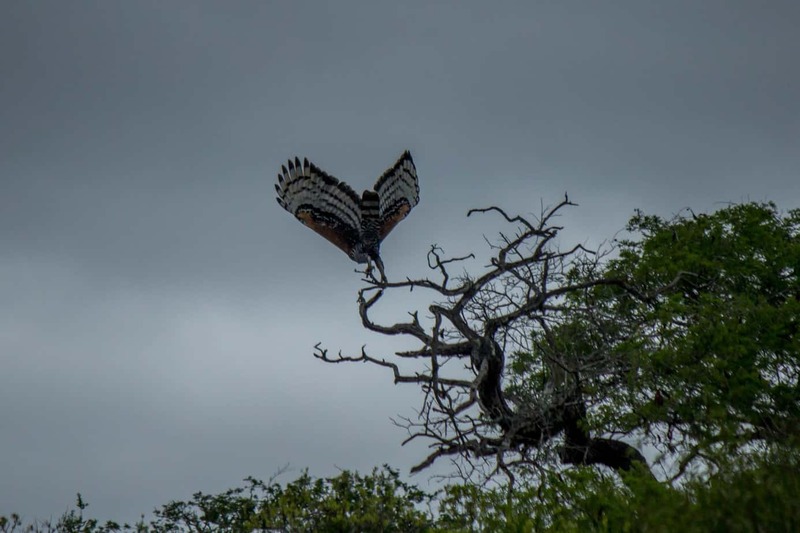 The crowned eagle, or crowned hawk-eagle (Stephanoaetus coronatus), is a large bird of prey often considered to be the most powerful of the African eagles. Although generally smaller (less heavier) than the martial eagle (Polemaetus bellicosus), with a length of 80-99 cm (31-39 in) the crowned eagle is the fifth longest eagle species in the world. Females are 10-15 % larger than males and weigh between 3.2-4.7 kg (7.0-10.3 lb). 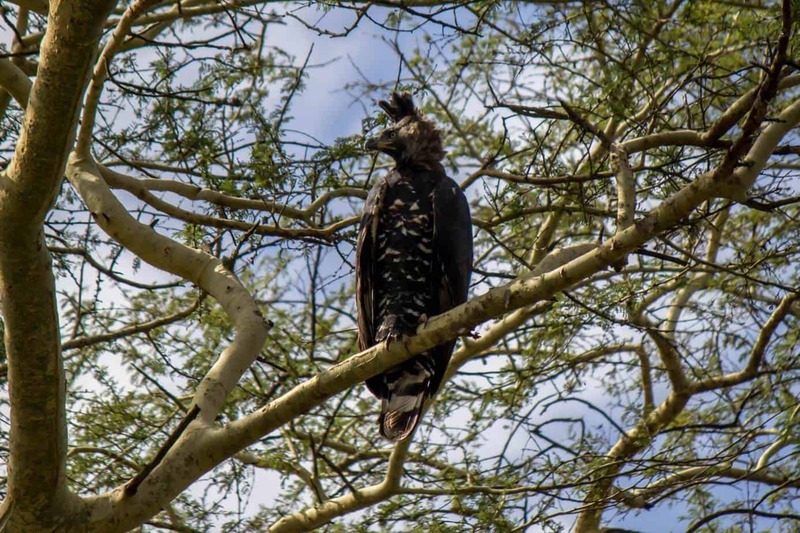 Because of its habitat and hunting habits, the crowned eagle has a small wingspan relative to its large size, reaching lengths of 1.5-1.8 m (4 ft 11 in to 5 ft 11 in). Largest confirmed wingspan recorded is 1.9 m (6 ft 3 in). The adult crowned eagle is unmistakable with its striking plumage. Upperparts and head is dark in color, varying from dark grey to black sometimes with a tinge of blue. The head is, additionally, often dark brown to rufous on the sides and back, and it has a prominent crest frequently seen erected. Eyes are pale yellow to white. 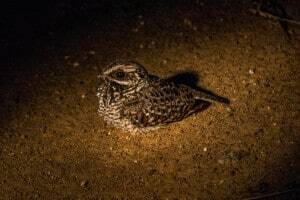 Undersides are white, heavily blotched with black bars and spots, and quite often with a rufous tinge. Feathers on legs are white with black spots, and talons and claws are large and powerful. Tail is long and barred black and white. In flight, underwing coverts are chestnut, with the rest of the underwing white with prominent black markings. Juveniles are markedly different, with a creamy white to pale grey body with darker grey wings and backside. Crowned eagles are mostly found in dense woodlands, montane forests, and rainforests. 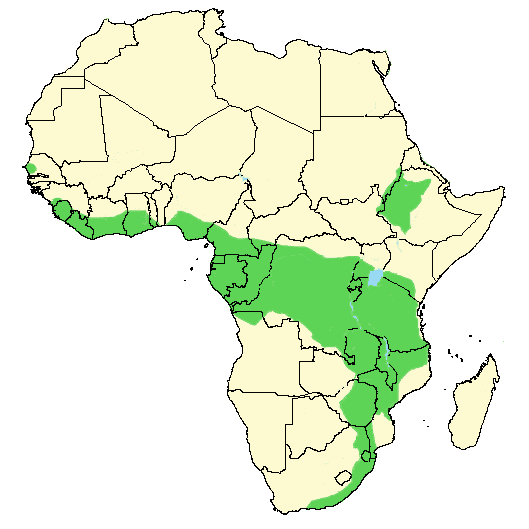 In protected areas with large open savannahs, such as is common in East Africa, they are sometimes found along riverine forests and in rocky hillsides adjacent to the more open habitats and will rarely venture into the savannah. If habitat is sufficient, they can also be found close to urban areas, especially in plantations. Mammals constitute 90 % of the diet. Prey species change with habitat and area, and in the rainforest, multiple medium-sized monkey species are common prey. Outside of the rainforest regions, smaller antelopes and hyraxes take up a large portion of the diet, with antelopes as big as adult female bushbucks known to have been attacked and killed by a crowned eagle. Smaller duiker species, suni, and young of larger antelope tend to be the most common ungulate prey species. Prey is most often attacked and killed on the ground, and the powerful talons often kill the prey on impact. 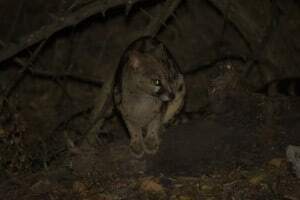 If the prey is too large to carry (over twice the body size), it is often divided into smaller pieces, and sometimes cached in trees for later consumption. 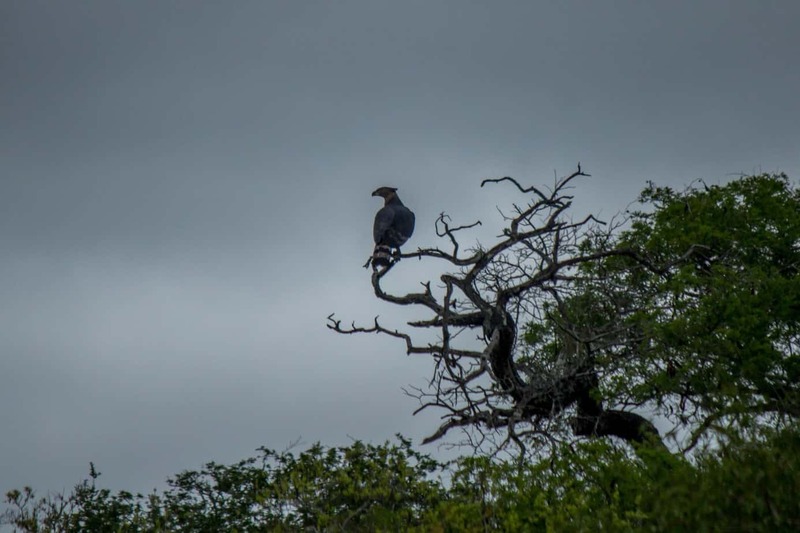 Crowned eagles have also been observed to significantly wound large prey before following and waiting for days until it is weak enough for the final assault. The crowned eagle is a monogamous, solitary breeder that only breeds once every two years. The female is the main builder of the nest, which is most often situated high up in the tallest fork of a smooth tree near a ravine or sometimes at the edge of plantations. The nest is reused over multiple breeding seasons, is built up by branches and leaves, and can, after many seasons, reach a size of 2.5 m (8.2 ft) across, and 3 m (9.8 ft) deep. One to two eggs are laid and incubated mainly by the female for 49-51 days. The female feeds the chicks for the first 21 days after hatching, with the male bringing the food. After about 60 days the female starts hunting for food as well. If two eggs are laid, only one generally survives, as the stronger sibling often kills the weaker. After 110-115 days, the chick leaves the nest, but will be reliant on its parents for another 9-11 months. 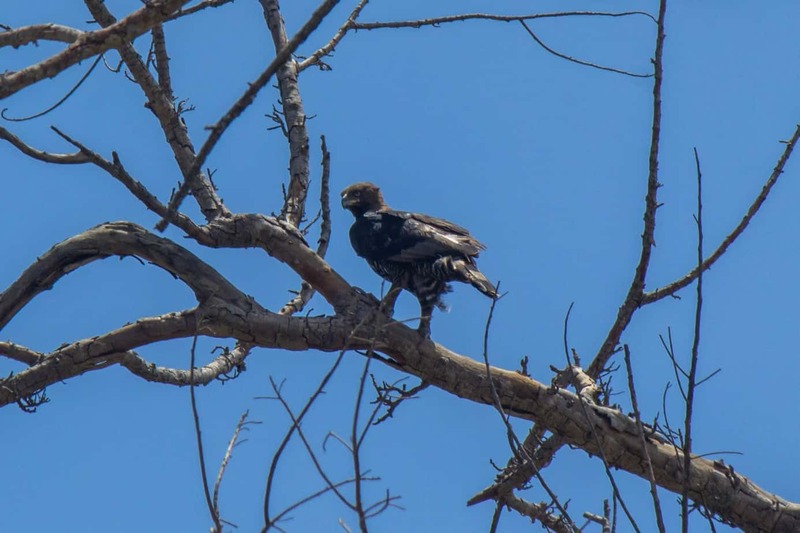 Due to heavy deforestation across sub-Saharan Africa, there has been a great loss of suitable crowned eagle habitat, and in many areas its distribution is fragmented. It is a common species in many protected areas, but numbers are in decline across its range. 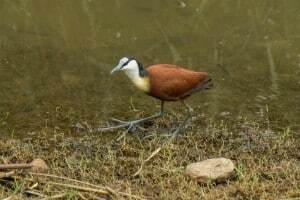 It is listed as near threatened on the IUCN Red List.